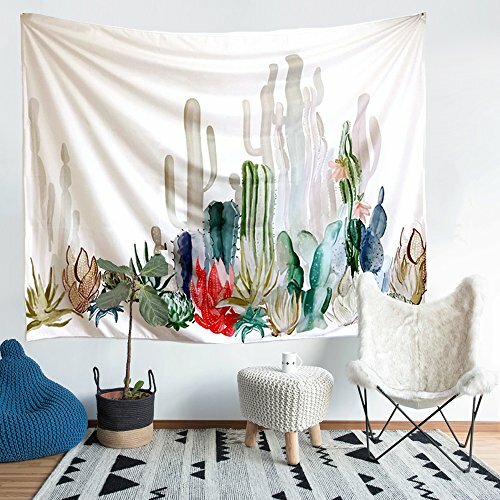 GRACEFUL ART-With cactus pattern，adds a rich, pleasing and an ethnic feel to ceiling or wall of your room, dining, drawing hall or your bed.These Tapestries are conversational piece of art. PREMIUM QUALITY-Arfbear cactus tapestries are made from Polyester fiber that is skin-friendly and durable.It is machine washable and easy to clean . MULTI FUNCTION-Makes a tablecloth,bed cover, beach cover up, couch cover or curtain and of course as a tapestry or a wall hanging. SATISFACTION GUARANTEED-We provide backed by 100% Money Back Guarantee,We offer Free Replacement or Full Refund if you are not Fully Satisfied with our wall tapestry. This is totally Risk-Free buy! Trends International The Great Wave Wall Poster 22.375" x 34"